« #DETChevySXSW challenge and why Detroit should win! on March 18, 2010 at 11:51 pm | Reply Norm B. 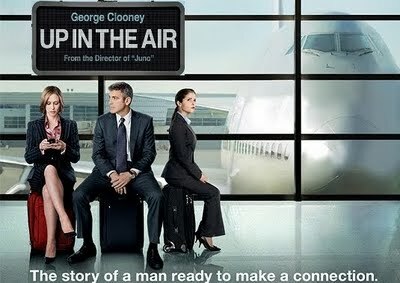 Pretty good read, Up in the Air was probably my favorite movie from last year I loved it (FYI though, you might want to spoiler the big loop that gets thrown his way–didn’t see it coming when I saw it and wouldn’t want that ruined for anyone else 😉 ). As for technology, I think it’s both an escape and a hindrance. Most people can (and do) use it as an escape in the sense that it can serve as a distraction when you get into a conversation on twitter, Facebook, or even just playing a few hands of poker online. It’s also a hindrance in the sense that it gets harder and harder for anyone to truly get away. If you know someone on multiple platforms, it also means that someone has multiple options to use to get a hold of you…back in the day it usually only meant leaving a message, paging someone (ha), or dropping a voicemail. It’s a double-edged sword, being connected–it makes the world smaller everyday. I probably should have inserted a spoiler but it is 2010 and I figured the majority of people probably have already seen it. I mean I am doing a review of a DVD and not the new release. Like the young girl in the movie… She gets dumped via text message. It is sort like in the movie, “He’s Just Not that Into You.” When dating can be more involved and getting to know someone between text, phone, facebook and twitter. Funny, I just watched that movie last night and read your blog today. I agree that social media tools and other technology provide a way to meet and stay in touch with people, and I like that you get to choose your level of depth. Some like the surface conversations. Frankly, I’m just too busy for that. If someone from high school just wants to talk to me about the weather, I’m not going to tune in very often. Yet, I’m not going to spill my guts on the wall of Facebook either. I think social media tools offer a great way to put out a general message to a group of people, but I also lilke the private messaging options to personalize your content. And of course, there’s the old fashioned telephone that still works well, and face to face meetings. In today’s busy times, we’re spread too thin to sit down and talk at length with everyone we meet. These tools help us learn more about the person so we can determine if/how/when to get to know them on a deeper level. As for the movie, it did remind you how people often lead dual lives (online and offline) and you must be careful who you spend your time with and really check them out because a lot can be hidden during online communications. Ryan Bingham used his job as an escape mechanism from the real world. As long as he was traveling for his job, he wasn’t home dealing with his perpetual loneliness. I’m sure some people use technology and social networks in the same way. They may have trouble connecting with people in the real world, so they connect online instead because they feel more comfortable. I think those who do that are hurting themselves in the long run because nothing will ever compare to a relationship in real life. Technology provides amazing opportunities to build relationships with people whose paths you may have never crossed if it weren’t for connecting online. In my opinion, it’s still important to develop those relationships offline. I understand some people are hindered by distance, but there are plenty of other ways to continue building the relationship outside of social networks (talk on the phone, Skype with each other, etc. ).